Allergy Plate - how can friends and family help? If you have a family member or a friend with a food allergy and you are reading this blog because you want to help - huge kudos to you! What a great relative or friend you are taking the time to care. It can be quite daunting hosting an event, party or play date to include someone with food allergies, especially when you have food they are allergic to in your house/venue or you may frequently consume their allergens. But it shouldn't be daunting - because it can be managed. 1. People with food allergies don't want to be excluded from social events. EVER! It's best to invite and include people with allergies so they can make the decision to attend or not based on their own circumstances. Please don't make the decision for them. - are they willing to be at an event where food they are allergic to is present? - are they willing to eat food you have prepared for them? - would they prefer to bring their own food? Comfort levels vary - a lot! It's very important to have a conversation about comfort levels of your guest before you plan the menu and hit the kitchen to make allergen-free food. I can guarantee you that if you plan a menu for everyone that does not include food they are allergic to, they will be so grateful (there are over 50 recipes in the Allergy Plate Wholefood ebook to choose from). 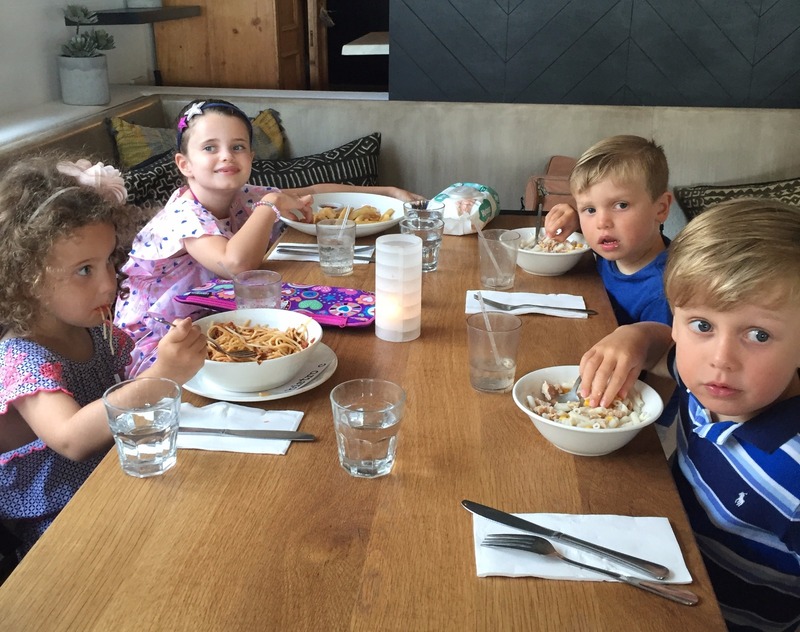 They may or may not be comfortable eating food you have prepared, however most importantly you will reduce their stress levels enormously so they can have a good time without worrying that an allergen such as yogurt or hummus may splash on to their food and cause a reaction. If you decide to make different allergen-free food specifically for your allergy guest without discussing it with them first, they will be absolutely flattered and grateful that you went to so much effort to find a suitable recipe and that you took the time to cook just so they feel included. We will all love you for it, it shows your commitment to the relationship and that you want to help! However, not everyone with an allergy will be comfortable eating something that is prepared outside of their own kitchen. But on the flip-side, some people with allergies will be very happy to gobble it up. Everyone has different comfort levels based on their own personal experience. The big concern for those that choose not to eat allergen-free food that you have prepared comes down to this 'cross contamination'. Cross contamination is when a small amount of an allergen may contaminate food and cause the allergy sufferer to have an allergic reaction. For example someone may be allergic to eggs and nuts. You decide to make an egg-free cake for them. The cake doesn't contain nuts so it should be fine for them to eat right? Not always! If you consume nuts in your house, there may be traces of nuts in your kitchen. So a knife that you used to spread peanut butter on toast, may contain a small amount of peanut protein on it. If that same knife is used to cut-off a piece of butter for the cake - a small amount of peanut may be present in the egg-free cake you have kindly made. So that egg-free cake is contaminated with peanut. This is the reason why some people with allergies feel more comfortable to only eat food from their own kitchen, this way they know exactly how it was prepared. If your allergy guest is a baby or toddler, their carer will be super appreciative if everyone washes their hands as they arrive. This reduces the risk of cross contamination, as little ones continuously put their hands and objects in their mouth!. If it's too much to ask all your guests to go to the bathroom to wash hands on arrival - a simple baby wipe each will do the trick. Older children and adults with allergies may not see this as a requirement of other guests. The customary hello kiss may also pose a problem. Family members may like to kiss babies or kids on the lips. This is not a good idea if they have food allergies as allergens may remain on the lips and be passed on to babies and kids with allergies. This type of innocent love can actually cause an allergic reaction. Even a kiss on the cheek can cause welts and swelling if the person passing on the kiss has just consumed an allergen. Wipe down surfaces that food will be served from, such as benchtops and tables to ensure traces of allergens are removed just before eating. This is best done with a clean dishcloth and detergent or a baby wipe. The final thing you could do is ask your allergy guest if they'd like you to be familiar with their allergy and anaphylaxis plan. Be familiar with allergy symptoms and keep an eye on the person with allergies to ensure they don't appear to have any symptoms. Carers of children with allergies will normally stay with their children in case of a reaction, so they should understand how to manage a reaction. If you would like understand how to treat an allergic reaction, please have this discussion directly with the carer or person with allergies. - Be inclusive, always invite people with allergies to your event - please don't be deterred by their condition. - Understand their comfort level around food before the event - do they prefer for their allergens not be served to anyone at all? are they happy to eat allergen free food you have made specifically for them? would they prefer to bring their own food? - If you are preparing allergen-free food - reduce the risk of contamination in your kitchen by checking ingredients and ensuring all utensils and surfaces are cleaned with a new dishcloth and detergent - and wash your hands with soap before you start preparing food. - Ask everyone to wash hands or use a baby wipe on arrival - especially if babies or toddlers have allergies. - Avoid kissing guests with allergies on the lips. - Wipe surfaces prior to eating to ensure they are clear of all allergens. - Be aware of allergy symptoms and keep an eye on your guest. Thank you for wanting to help and include your family member or friend with food allergies, they will really appreciate it!